All Products > "A-WW16 West Wings Kestrel Glider Kit"
The Kestrel is similar to the immensely popular Merlin, but a little bigger with a semi-scale appearence. Easy to assemble using traditional construction techniques and materials. 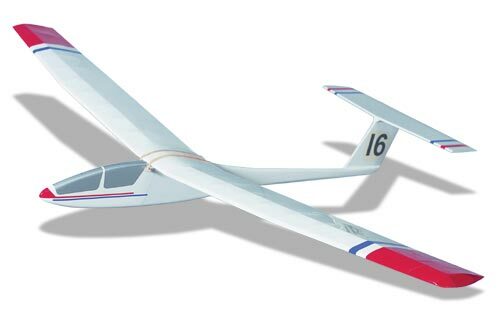 Features a characteristic T- tail and cockpit area that mimic the lines of modern full size high performance gliders. Please note: This is a kit, not an ARTF model.